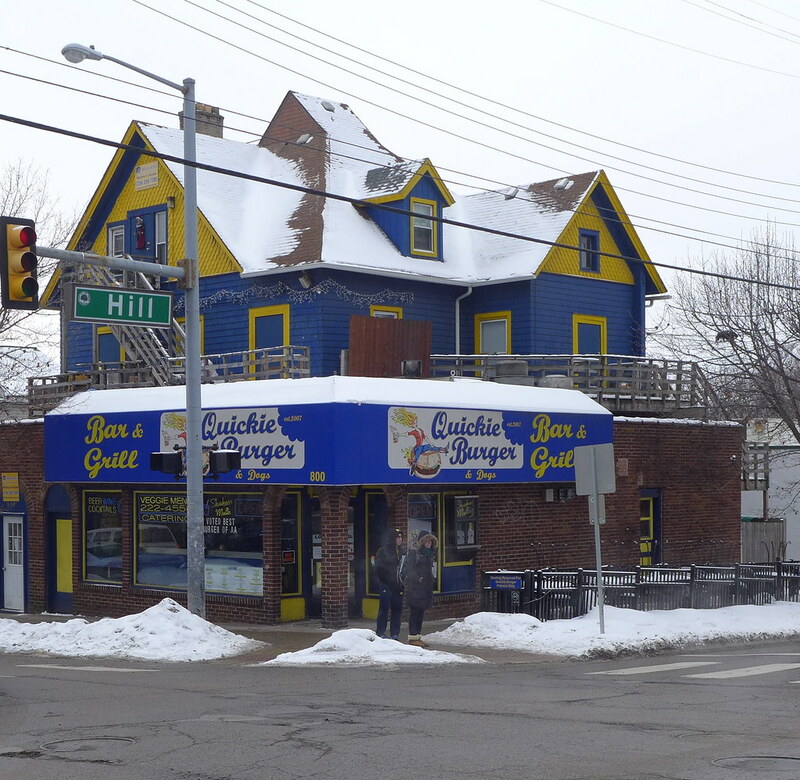 Quickie Burger is one of Ann Arbor’s go-to burger joints, and my personal favorite for every single football Saturday. While the menu is simple (think burgers, chicken fingers, fries, onion rings), the service is always friendly and the mere mention of the special sauce makes me weak at the knees. My order at Quickie Burger has been consistent throughout my four years at Michigan (major cheeseburger, extra special sauce), so when a friend mentioned the dive also has an all-day breakfast menu, I realized it might be time for me to change it up. The breakfast menu at Quickie Burger, like the lunch and dinner menu, is relatively simple. The clear choice for what to order is the breakfast combo, simply because it pretty much includes everything on the menu. The combo gets you a double egg and cheese sandwich with sausage or bacon, a golden hash brown and your choice of drink. While the meal did take longer to prepare than expected, the greasy breakfast was the cure I was looking for. First thing first, the hash brown was insane. The second I took my final bite I was contemplating how many more I needed to order to satisfy my craving. I don’t know if it was the perfect crispiness, the delicate balance of grease-to-potato ratio, or simply the oval shape, but the hash browns left us speechless (and desperately desiring another). When I first saw the egg sandwich, I was slightly weary that it was served on Quickie’s signature wheat burger buns, but the bun actually paired nicely with the sandwich contents. The double egg was completely necessary (who wants just a one egg sandwich?) and the American cheese melted and paired perfectly with the eggs. I opted for sausage on mine, which was an ideal savory addition, and while the bun at times did feel a little overwhelming, the sandwich totally did the trick. However, the highlight of our Friday morning meal was not simply the food. The owner of the restaurant came downstairs and ended up chatting with us for about twenty minutes. Not only is the guy genuinely kind and friendly, but he is also an amazing storyteller… I laughed so hard I had tears in my eyes. Restaurants and owners like these are what make me appreciate the quaintness of Ann Arbor. All in all, Quickie Burger is not just a great spot to stop by for a burger, but also a solid breakfast sandwich. The entire meal was quick, easy and totally cheap, and if you’re lucky, maybe you’ll get a free story from the owner thrown in as well.